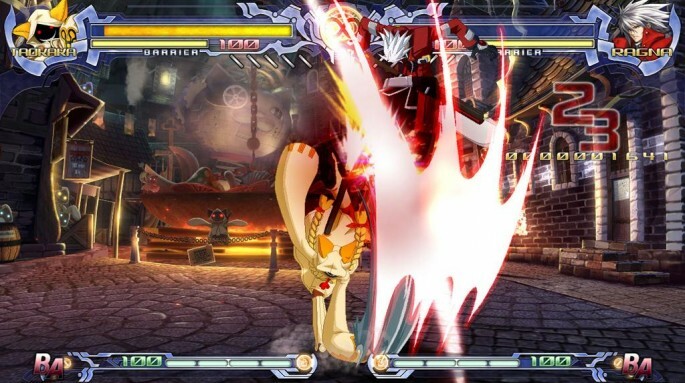 BlazBlue: Calamity Trigger is the latest 2D fighter to hit consoles. 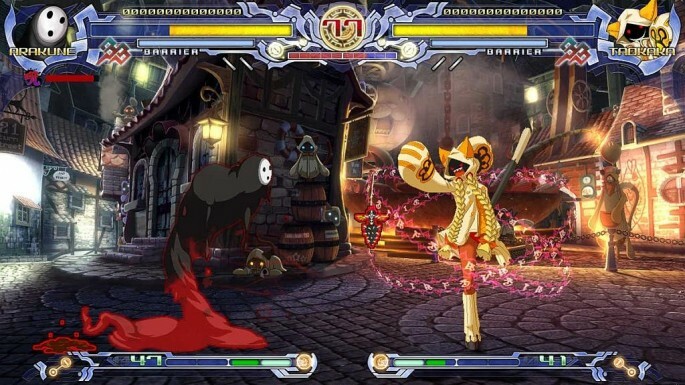 The game was created by the acclaimed developers of the Guilty Gear series, Arc System Works. 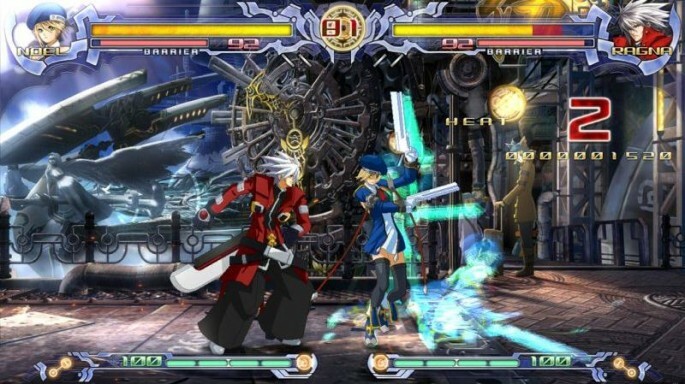 BlazBlue is officially known as a spiritual successor to the Guilty Gear series. While Arksys did not stray too far away from the formula, they did add enough to the game to differentiate it from their previous series. Currently the game has only been released in Limited Edition form, which includes a 2-disc soundtrack, a strategy and tip guide in video form on a Blu-Ray disc, and a box to hold all the goodies. A regular edition will be released at a later time. The game opens up with a beautiful anime cutscene, and while the opening music is in Japanese it is still very upbeat. While the opening scene of the game is a full motion cutscene, sadly 90% of the remaining cutscenes are still images with voice-overs and special effects. The art work in this game is absolutely immaculate and all artwork has been rendered at a native 768p resolution. The game will support 720p and 1080i for HD displays. There are 12 playable characters in the game. Each character has been carefully designed and hand-drawn to perfection. It is refreshing to see a game with so much color compared to the gray and brown games of this generation. The Story Mode for BlazBlue is done quite well for a fighting game. The back-story is very interesting so I will leave an excerpt for you to read. –In December A.D. 2199, several years after the Ikaruga Civil War, a branch of the Library was utterly destroyed by an SS-class traitor named “Ragna the Bloodedge” also known as “Grim Reaper”, in an attempt to destroy the entire Library. The Novus Orbis Librarium Armagus, hoping to stop him, immediately put the largest bounty ever for anyone who could capture him. Interestingly, Ragna possessed a powerful form of Armagus known as the “Azure Grimoire”, also known as the BlazBlue. This led to the Library, as well as the Ikaruga Union and other fighters, to be after not just his bounty, but also his grimoire.– Although this is much easier to follow in video format, it gives way to where the name of the game originated. Each character has a unique story for you to follow, and every one of them are done well. Most of the stories have a decision for you to make which will affect the way the story progresses. If at any point the story becomes too tough for you to handle and you needed a few tips, there is a tips section in the Story Mode. In the tips section you will find short hand-drawn sketch scenes that are meant to help you and give some comical relief. These short sketch scenes are displayed in episodic format with the title of “Teach Me, Boobie Lady”. All 12 characters in the game are balanced extremely well. No one character is stronger than another, which really forces you to learn all the combos and special attacks. BlazBlue has to be one of the most accessible fighters as well. The controls are not complicated at all, the combos are not too hard to pull off, and moving the right stick in any certain direction allows you to easily pull off a characters special attacks. I believe that anyone will be able to jump into this game and learn most of the controls within minutes. Hopefully the accessibility will be able to bring this game out of the niche grouping and into the popular fighting game realm with the likes of Street Fighter, Tekken, and Soul Calibur.